In the early 1850s a number of Britain’s most vulnerable coastal forts were modernised following concerns about French military intentions and fear that steamships could arrive with an invading army. Hurst Castle was identified as one of these vulnerable forts and the modernisation at Hurst began. The moat was deepened in 1851 and its immediate defences strengthened. 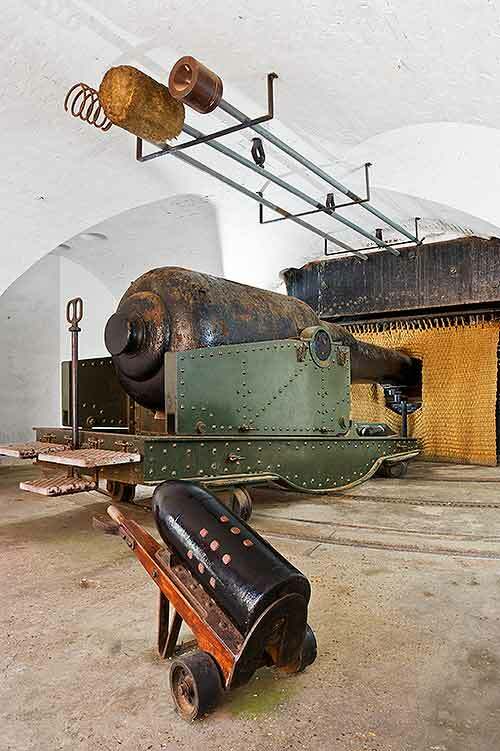 Between 1852 and 1854 the bastions and curtain walls were extensively modified so that a second tier of guns could be mounted. Outside the castle two large earthwork batteries were built for 29 heavy weapons. These works were hardly finished before technological revolutions – the development of rifled guns and quick-firing (QF) guns, and the introduction of steam-powered warships – made such fortifications obsolete. In 1859 a Royal Commission was created to consider the defence of the United Kingdom. Among its recommendations was that a powerful ring of fortresses should be built to protect Portsmouth and its naval base. As part of this programme, work to strengthen Hurst Castle began in 1861. The earthwork batteries were demolished and replaced by huge armoured wing batteries, which you can still see today. Largely completed by 1874, these housed 31 of the new guns, which fired shells weighing more than 360kg, in granite casemates (vaulted chambers). Accommodation was provided for a peacetime garrison of 143 officers and men. The great wing batteries were added as part of a huge programme of new defences around Portsmouth and Spithead that turned this part of the coast into one of the most heavily fortified areas in the world. In the First and Second World Wars the castle was fully garrisoned, its searchlights and guns guarding the western entrance to the Solent against attack from the sea and air. It retained a limited military role until the abolition of the Coastal Artillery arm of the Army in 1956. 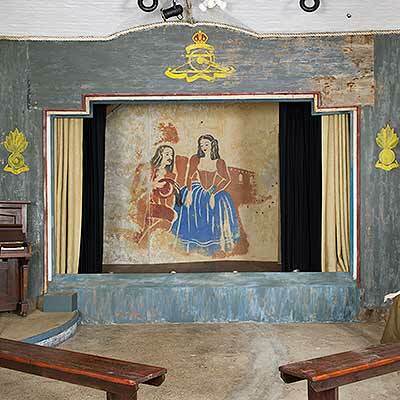 The theatre constructed by the garrison at Hurst Castle is possibly the last such to survive from the Second World War. In 1939 the theatre producers Basil Dean and Leslie Henson set up Entertainment Nationals Service Association (ENSA) to bring concerts to the force. Many professionals gave their services, but so too did amateur groups.